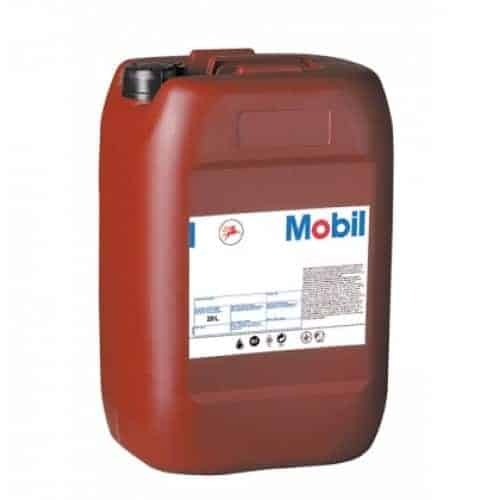 The DTE 20 oil series is renowned for offering excellent performance, and Mobil DTE 24, a hydraulic lubricant with anti-wear properties, is a key player within it. It has been designed for the specific purpose of enhancing the way all kinds of hydraulic apparatuses perform. The 32-grade oil also adheres to the strict needs of hydraulic systems using a higher pressure pump, along with other important requirements of their components. These include numerically controlled (NC) tools. With hydraulic systems, high-performing products cannot afford to miss achieving their performance requirements. Fortunately, this oil has every characteristic needed to do so, and this means excellent results can be achieved repeatedly with the use of the same product. What are Mobil DTE 24?s advantages? All DTE 20 series oils are put together with high-quality base oils. This is combined with a steady additive system able to neutralise and lower the rate at which corrosive substances like sludge deposits form. The DTE 20 range offers the very best in oxidation stability. Consequentially, it can allow users to cut the amount of downtime during machine maintenance, as well as the costs of having them working in the first place. This stable approach helps the system stay clean and means fewer deposits are left during processes. As a result, both the oil and filter can last longer. Part of the reason why DTE 20 is such a sought after series is because the oils in it are able to perform in severe environments. Even if a very high anti-wear protection level is needed, the formulation of the oils is such that they can outperform their competitors. Among this range?s most prominent features is controlled demulsibility. This means that should systems come into contact with any quantity of water, they will be protected. Primarily, the Mobil DTE 20 range is designed for use with hydraulic systems, and is an alternative to the conventional products that can cause a build-up of sludge and other deposits. Furthermore, the range is ideal for systems in need of anti-wear protection, especially if they are able to carry a large number of loads. Lastly, DTE 20 oils are perfect for use with gear- and bearing-based systems, and offer protection in cases where contact with water is unavoidable. Oil Store is proud to sell Mobil DTE 24 at some of the most competitive prices you will find. Why not browse our online shop or speak to a friendly member of our team?